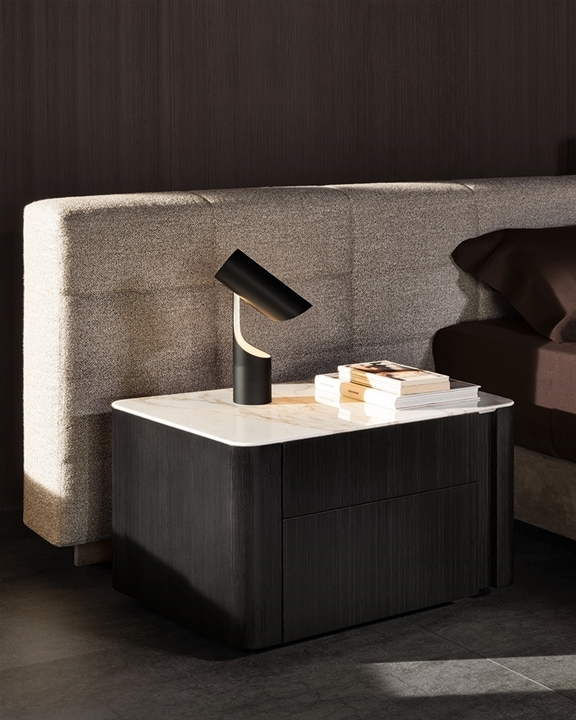 The Lou bedside table has a larch veneer structure and comes in prefinished Dove Grey or with open-pore lacquer finish in Licorice color. 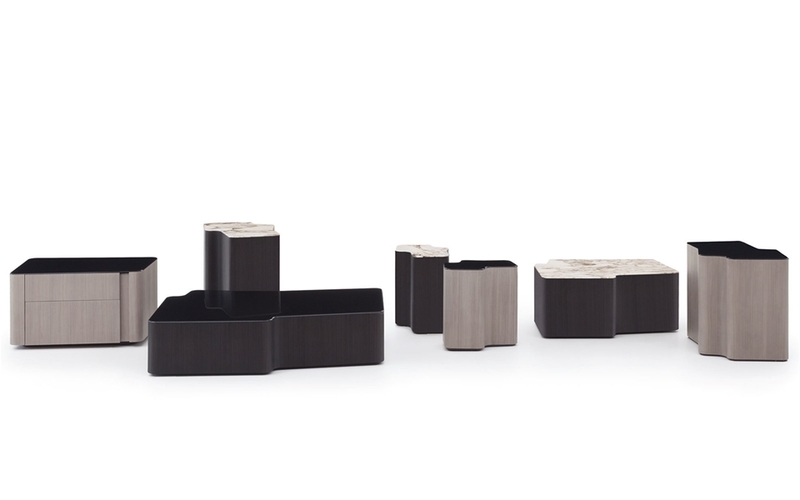 The flush-set tops are made of Calacatta marble and black pâte de verre. 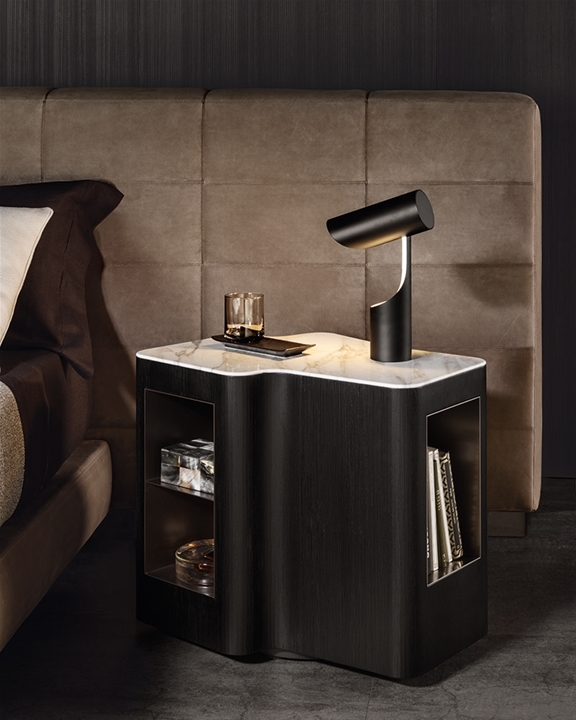 The Lou bedside table has two convenient drawers that open from the side. The Lou collection also includes a coffee table with a swivel base in larch prefinished Dove Grey or with Licorice color lacquer finish. The top is in Calacatta marble or in black pâte de verre. The open compartments are sheathed in Bronze color satin finish metal. 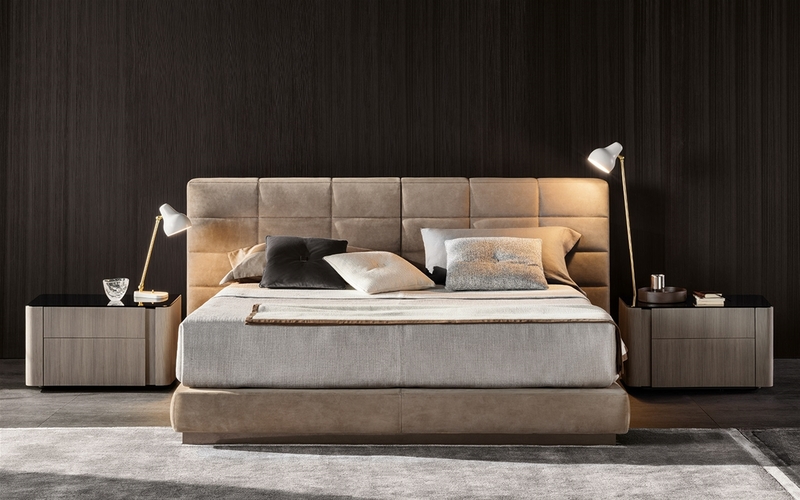 This coffee table fits seamlessly in the bedroom, in place of a traditional bedside table, as well as in the living room, paired with any of the seating options in the Minotti collection.